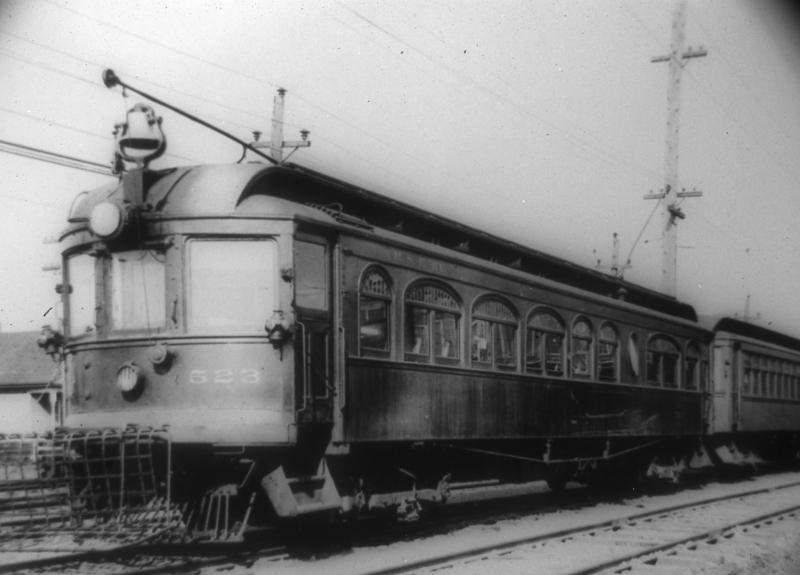 Interurban car 523 operated on the Puget Sound Electric Railway ("PSER") from 1908 until 1928, and represents a fascinating era in the development of King County and the region. The 523 arrived at the Northwest Railway Museum in September 2017, and was listed on the King County and City of Snoqualmie Landmark Register earlier this year. To best steward this cultural resource, a plan for how the resource will be protected and developed was needed. Now, thanks to a Special Projects grant from 4Culture, an assessment and additional research has been performed. Finding qualified individuals to research and assess an historical landmark can be challenging. Fortunately, the Museum was able to find one of the most qualified historians anywhere: Mr. Kyle Wyatt has spent a career lifetime working in railroad heritage. He retired in April from California State Parks, and his responsibilities at Old Sacramento and the California State Railroad Museum. That allowed him to take on the 523 assignment. Mr. Wyatt spent hours performing additional research, further supplementing work done by Museum volunteers and staff in support of the Landmarks Register nomination. Kyle discovered several new resources, and uncovered a number of significant facts. One of the more interesting revelations is that the PSER parlor observations were color-themed: one each of the four original cars had interior design motifs in blue, green, red, and brown. The 523 is an outstanding example of early 20th Century electric railroading, and especially how it was applied in the Pacific Northwest. The 4Culture Special Projects grant has funded this assessment with additional contributions to the body of knowledge as to how the car appeared while in electric railway service. Thank you to Mr. Kyle Wyatt and 4Culture for their investment in the 523's future.